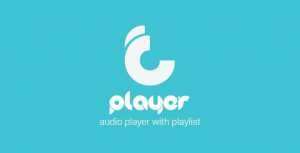 tPlayer is a powerful audio player plugin for WordPress. It works with almost every theme and is also responsive. The most significant selling point of the audio player is the customization that it offers. With it, you can create playlists and list tons of tracks with no limit whatsoever. The playlist creator lets you create an unlimited playlist and manage them efficiently with the help of shortcodes. You can also check the statistics of the songs played on your websites such as the number of times player, minutes played and the number of downloads. Mmetrodw takes care of the support for the plugin. Their response time is up to 2 business days, but you will get a response in a couple of hours maximum in most cases. It includes six months of support from Mmetrodw. You can extend the support to 12 months with just $7.50 more.